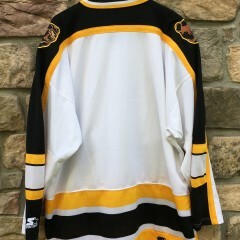 Categories: Jerseys, NCAA Jerseys. 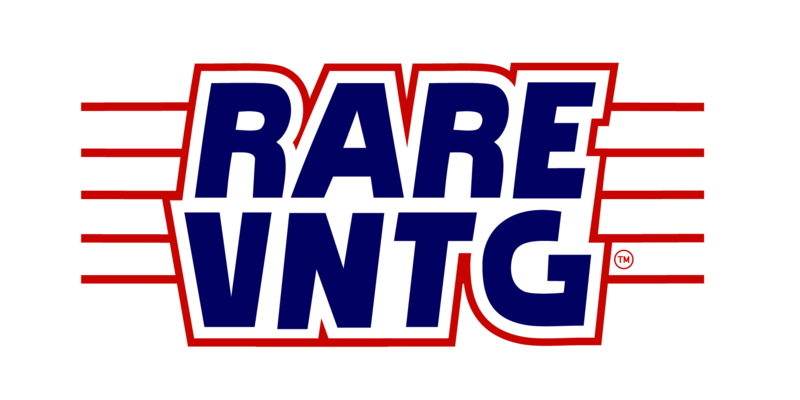 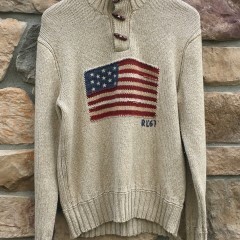 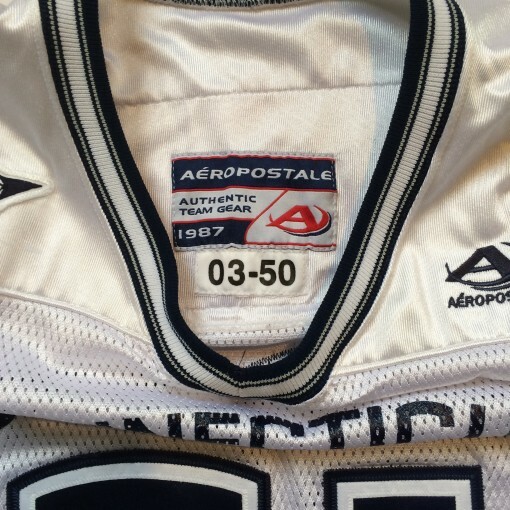 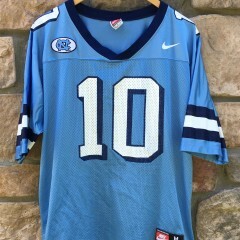 Tags: Aeropostle, Authentic, College, Football Jerseys, Game Worn, Huskies, NCAA jersey, size 50, throwback, UCONN, ushler. 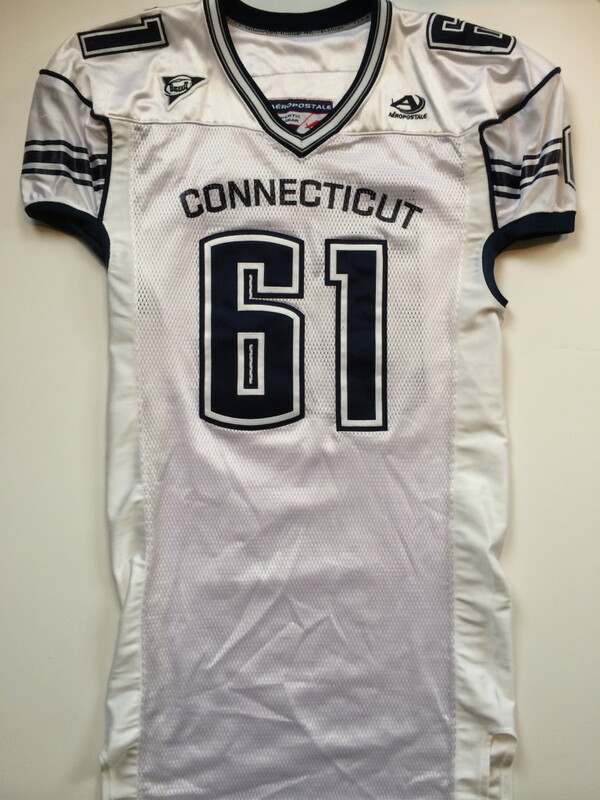 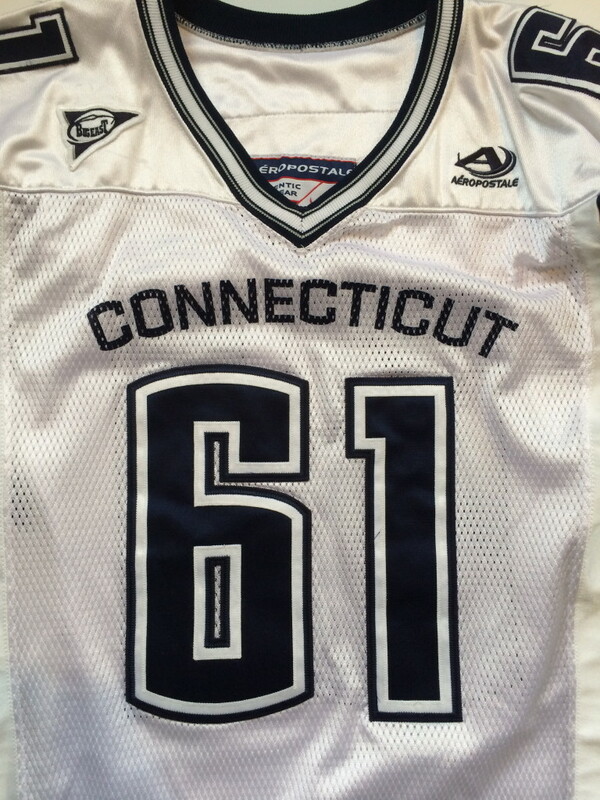 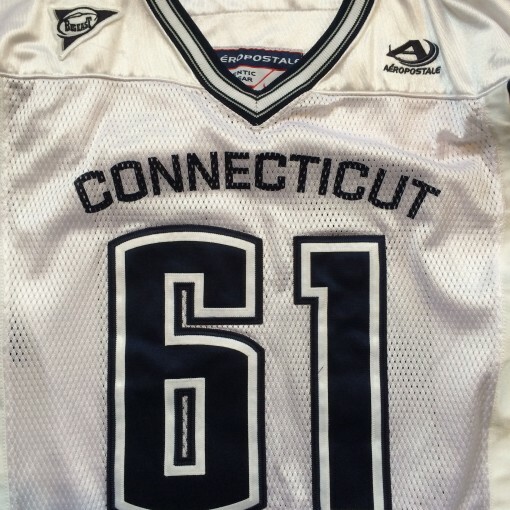 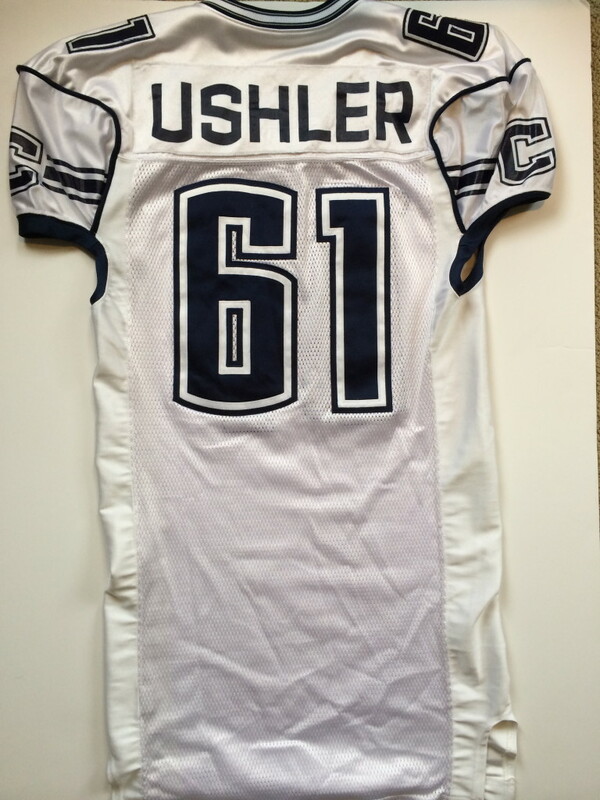 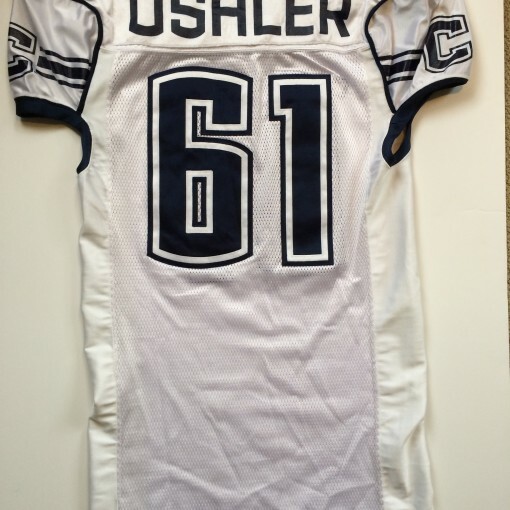 Vintage 2003 University of Conneticut Uconn Huskies Game Worn #61 Ushler NCAA Football Jersey. 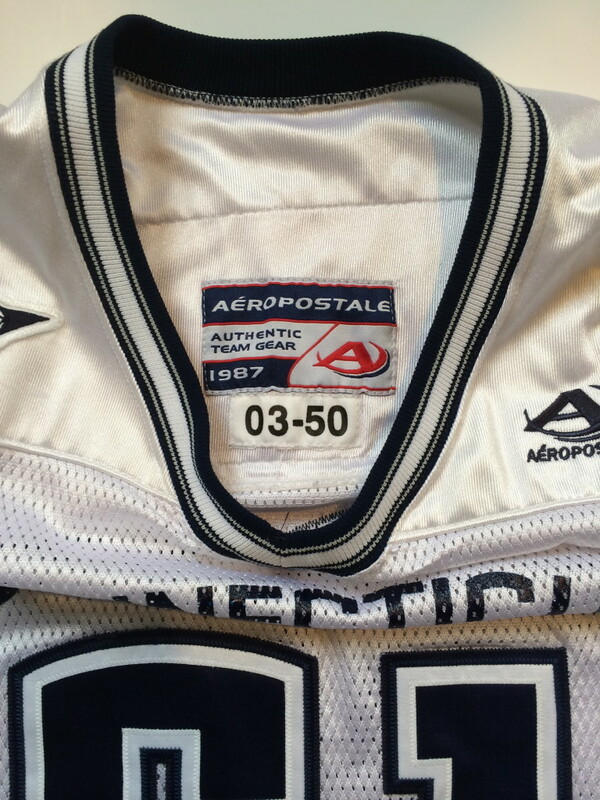 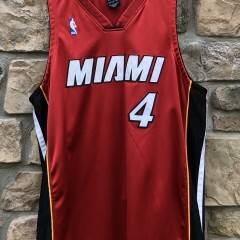 This jersey is from the 2003 season and made by Aeropostale. 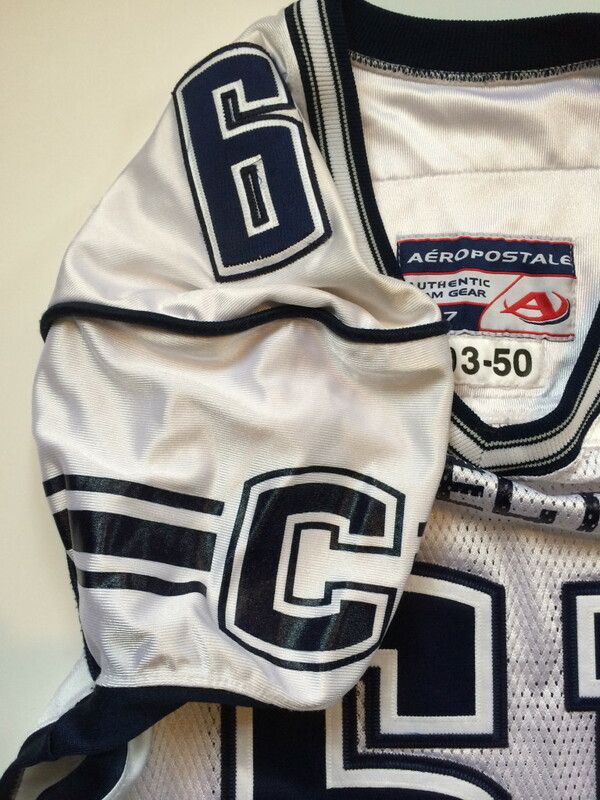 Features Big East patch stiched on the front. 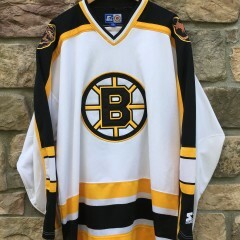 White road jersey. 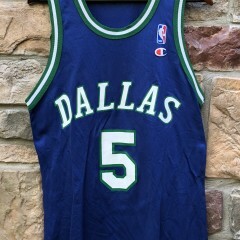 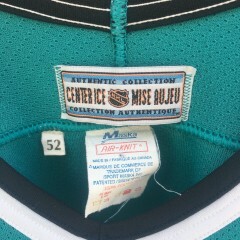 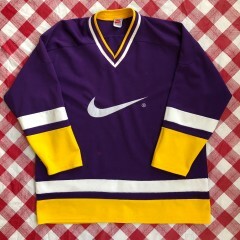 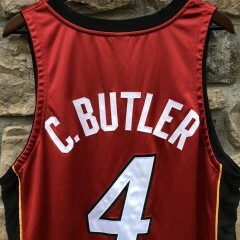 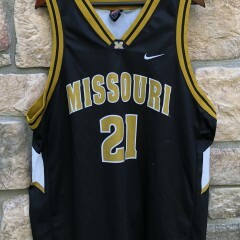 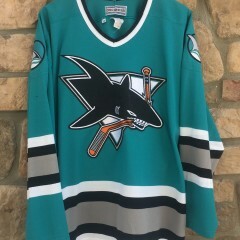 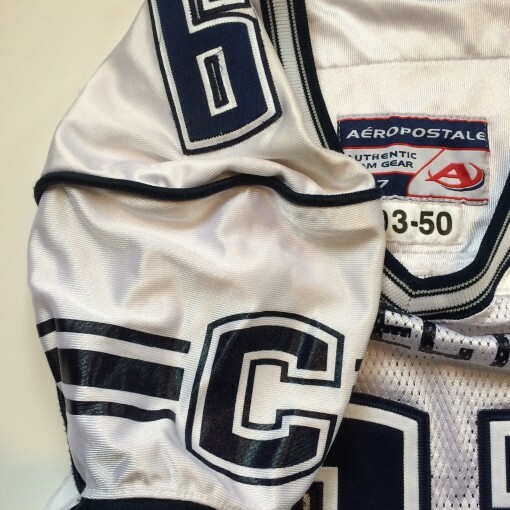 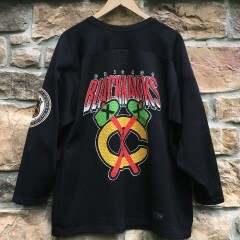 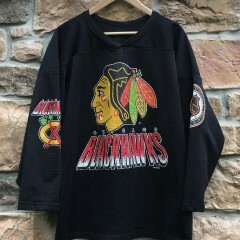 This spectacular jersey is a size 50, game worn during the 2003 season. 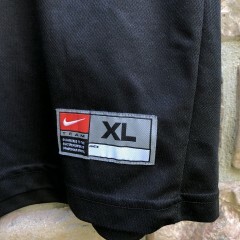 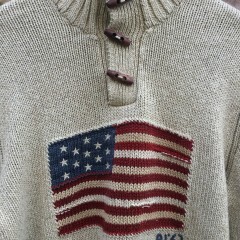 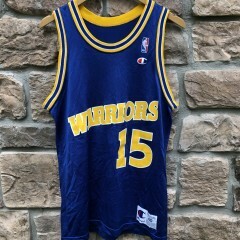 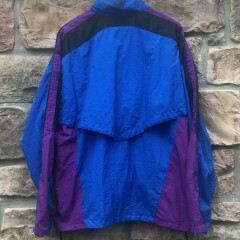 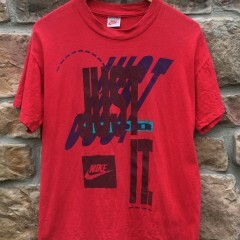 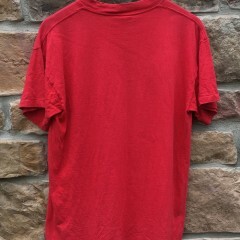 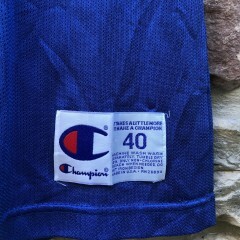 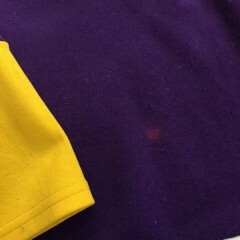 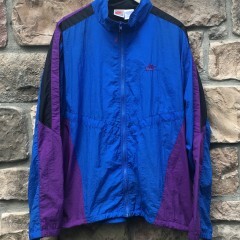 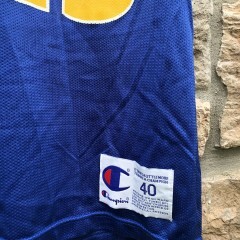 Shows some signs of game wear, still in great condition. 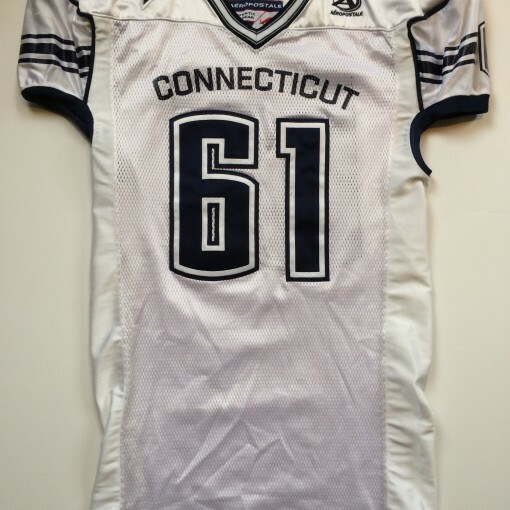 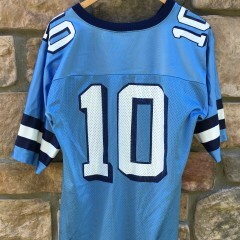 A perfect jersey for any fan of the Uconn Huskies Football Team.